Appropriate added taurine: an essential amino acid that cats are not able to produce for themselves. With 1,000mg/kg in dry food and up to 2,000mg/kg needed in wet food because more taurine is lost during the production process. Discover more about taurine and taurine supplementation in our article: taurine in cats. We try different foods and base our ultimate decision about the benefits of a food on the results that we see. Here, we have tried to condense the basics of a few food brands so that you can benefit from our experience. Read our dry cat food reviews. Seven wet cat foods of various brands, styles and varieties tried and tested for you by the Bombadillo Kittens! Foods are listed in alphabetical order. This wet cat food is liked by all of our cats. It is a convenient way of adding meat and protein to their diet. It is essentially shredded chicken in a tin. 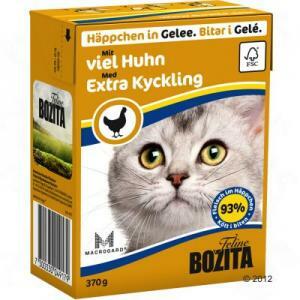 Quite pricey, and given that it has no added minerals and is a supplementary food, you could arguably just feed your cats shredded cooked chicken which would achieve the same results at a lower cost. Overall a useful addition in the cupboard, but not a complete food. Do not use this wet cat food for more than about 10% of your cats caloric intake each day. Applaws also do a complete wet food, but we haven’t tried that yet. Taurine: 700mg/kg = on the low side: suggested amounts are 2,000mg/kg in wet food. Results: all of our cats like this wet cat food. We love the high meat content. We love the huge variety of meat sources available in the range, so we can alternate the food our cats get easily. The lower taurine content is a drawback. We currently use this to give our cats some wet food, but they also get good quality dry kitten food as well. 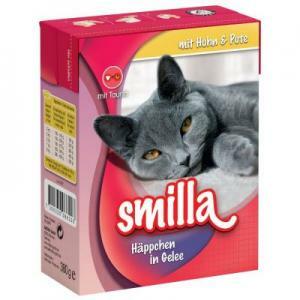 We found that, when introducing a new adult cat to this food, if given in large quantities it can give them a bit of a funny tummy, possibly due to the high fat and offal content. Overall a reasonable wet food, at a great price, but definitely supplement it with something high in taurine. Results: our kittens didn’t take to this wet cat food at first, so we mushed it up for them a bit, and now they eat it readily. Would prefer a little more taurine, but this is a very good food and seems to be more gentle on their tummies than Bozita, probably because it has a better offal:muscle meat ratio. We use this for our kittens. They seem to slightly prefer the Turkey with Pumpkin and Catnip, but will eat both varieties with enthusiasm now! They are growing very well on this food, and it is now one of our staple foods for kittens. It is a little more pricey than some of the alternatives, but does have a high meat content without seeming to be too rich for little tummies. 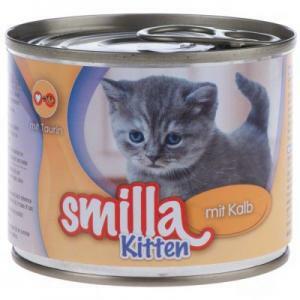 This food is of high enough quality that you can feed kittens the adult variety, which you can buy for around £2.70/kg and then it comes in more varieties as well. 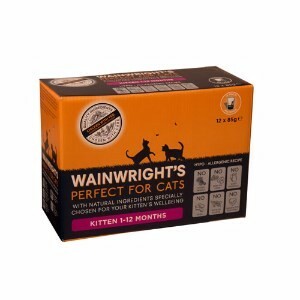 Results: this wet cat food is loved by our cats and kittens alike - they devour it! We love the fact that it is from a single source protein. If you ever suspect your cat has IBD/IBS a single source protein food is essential. We also appreciate that this food is hypoallergenic, although this is not essential for most cats. The big downside with this is that the packaging simply does not mention taurine. 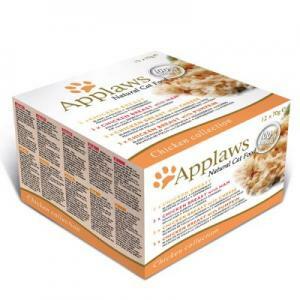 A popular food with our cats, and useful if you ever need to treat IBD. 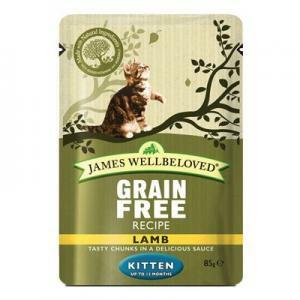 We use this as a treat and to keep variety in our cats' diets. Unfortunately, it only comes in small pouches, which is not really enough for a litter of kittens! Would love to see bigger, better value tins available. Results: we are currently trialling this wet cat food. On first sight, it appears to be very similar to the Feringa Menu Kitten, but the meat content is actually much lower. As with most wet food, taurine levels are lower than we would like. We will continue to test this for a while before publishing any conclusions. This food could present a good, economical option for people. Results: similar to Bozita, but comes in less varieties. Also, this food does not have a lot of information provided, but it does state that it is grain and sugar free. This food is liked by all of our cats, but too much of it can be a bit rich for them. Also, if you are going to use this as your sole or main food for your cat, we would suggest supplementing additional taurine. Results: We actually use the chicken variety of this food (tuna is not good for cats because of the heavy metal content) The chicken variety is reasonably well liked by our cats, and hypoallergenic, which we like. No mention of taurine, which is concerning. We use this to add some variety to our cats’ diets. We tend to use the chicken one but there is no information available for that version. We prefer not to give our cats too much fish, as there is some evidence that it isn’t very good for them - it can cause joint problems. That being said, once or twice a week some good oliy fish is good to add omega oils to their diet. Please avoid Tuna for cats. Wet cat food is excellent for cats because it gets so much water into them without them even realising it. This keeps your cat hydrated which is great for his liver and kidneys. Cats evolved from desert dwelling animals and therefore evolved to obtain most of their water from the food they eat. Wet cat food is therefore an important element of our cats' diets. There is currently a very strong movement in favour of wet cat food and also raw feeding, and against dry cat food. The main argument against dry cat food is that it dehydrates cats and leads to problems with the kidneys. We give our cats wet cat food every day, but they also have a good quality dry kibble with plenty of taurine in it, because taurine is absolutely vital to heart health. We currently feed our cats a variety of high quality dry foods. We then add in a range of different wet foods each day, to ensure that they get as varied and balanced a diet as possible. A note to our kitten parents: this page may not be the most up to date, so please follow the advice we give you for your kitten! We are constantly researching and refining our approach to nutrition. Click here for dry cat food reviews. - Taurine in cats: should I supplement my cat?